Anyone who is in the business of direct sales knows about the summer sales slump. Customers and our community are on vacations, enjoying the fun days of summer and are online much less. Priorities shift and we see a drop in customer engagement and orders. So what should you be doing to lift yourself out of the summer slum? Check out this list of things you can do! Plan your own in-home or online party and personally invite the guests. Tailor the party to a summer theme. Come up with a fresh new template for your Epic Facebook Party. No hostess? No problem! Create a mystery hostess party and have a drawing for the hostess rewards! Use this as a teaching moment for your community and share how the hostess rewards are accrued and explain how easy it would be for them to host their own party. Go through your customer contact list and see where you can make follow up calls and messages. Do you have a phobia of using the phone? Send a voice message via Facebook Messenger and your customers will appreciate the personal touch! Staying up to date with your past customers will increase your sales over time. Offer them a special summer offer or provide them with purposeful content that they won’t find anywhere else. Focusing on the relationship you have with your customers will always benefit your business in the long run. If you are going on vacation, bring a small amount of inventory and business cards with you to have on hand. Who knows who you will meet at the beach or lake! If you don’t have physical business cards to give, consider setting up LinkTree or Tap Bio so one link goes to all of your social media channels. Use the downtime in the summer as an opportunity to evaluate which areas of your business are stronger than others. Read motivational books, online courses, or coaches to help educate you on ways to grow your business. The more you learn, the more ideas you will have on how best to serve your customers and grow your direct sales business. If you are a leader of a team, use the summer days as a chance to check in with your team and create goals for the months ahead. Provide them with the tools and resources they need to succeed. Not sure what to post in your team group? Read this post. 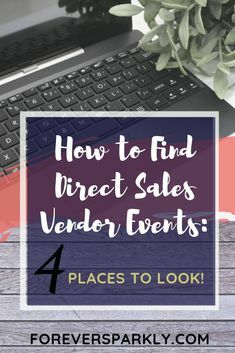 With these five solid tips, your direct sales business will be sure to beat the summer sales slump. I’d love to hear how these tips help you and your business! Comment below then follow me on Facebook. If you’re curious how I beat the summer sales slump myself, read this post all about working a direct sales business without using Facebook. Click To Purchase Fortune in the Follow-Up! Hit your monthly sales goals! Click to purchase Sassy Suite's Fortune in the Follow-Up Coaching Video. Learn the scripts to use and the topics to discuss when following up with previous customers and hostesses. Once you have learned the tools you need to follow-up, there will be no more month-end craziness trying to hit your goals! Click for Fortune in the Follow-Up!